I’ve been a real makeup junkie for as long as I can remember. Since I started my vegan journey, I have been looking for great natural cosmetics to replace what I had been using. This has been really hard for me because I am a creature of habit. My philosophy when it came to makeup has always been to stick with what works so that you don’t end up spending a fortune of money trying to find new products. Unfortunately, it took a lot of time and money for me to find new makeup products that I love and which have become daily staples for me. 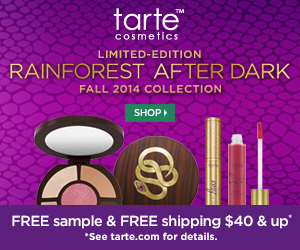 My favorite vegan cosmetics come from the company “Tarte” which I found at Sephora. I feel incredibly comfortable recommending their beautiful bronzer called “Park Avenue Princess” which I have been wearing religiously for quite some time. 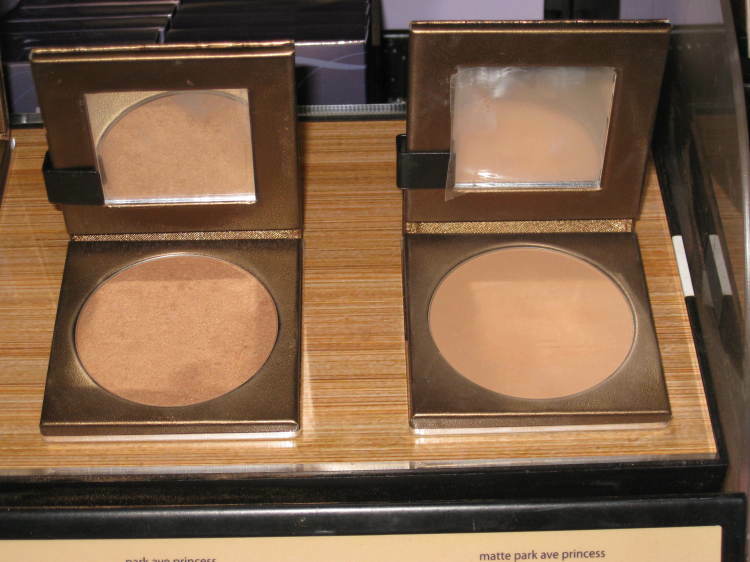 I have used the shimmer and the matte versions of this bronzer and I love them both. I think that the “Park Avenue Princess” color would work with any skin tone and I’m not just saying that because of its name!!! This bronzer is part of Tarte’s “cruelty free and vegan” collection which is PETA certified. Another great product from this collection is the shimmering powder which I don’t use every day but I still love it!! My other favorite product from Tarte is their tinted moisturizer called “Smooth Operator.” The sales help at Sephora helped me pick out my shade which is called “Agent 08.” It is perfect for my complexion and I have been wearing it every single day since I bought it (which was a long time ago). The best part about this product is that it has just enough coverage to replace my need for foundation. This may be due to the fact that my skin has been glowing since I began my vegan diet!!! In addition to Tarte‘s bronzer and tinted moisturizer, I have been loving their Amazonian Clay blushes. 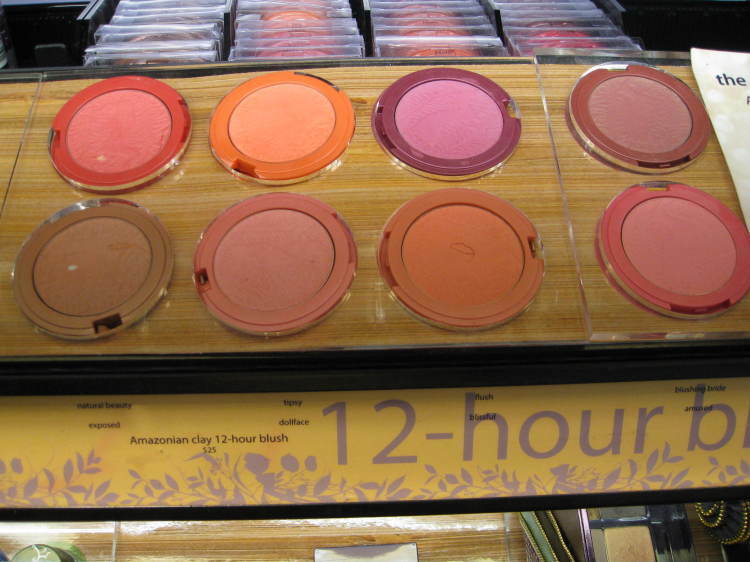 The three colors I have been using are “Amused”(a bright pink), “Blissful”(a warm peach) and “Blushing Bride”(a plum rose). There are other beautiful colors to choose from but these are the only ones I have tried and I have been happy with all of them!! 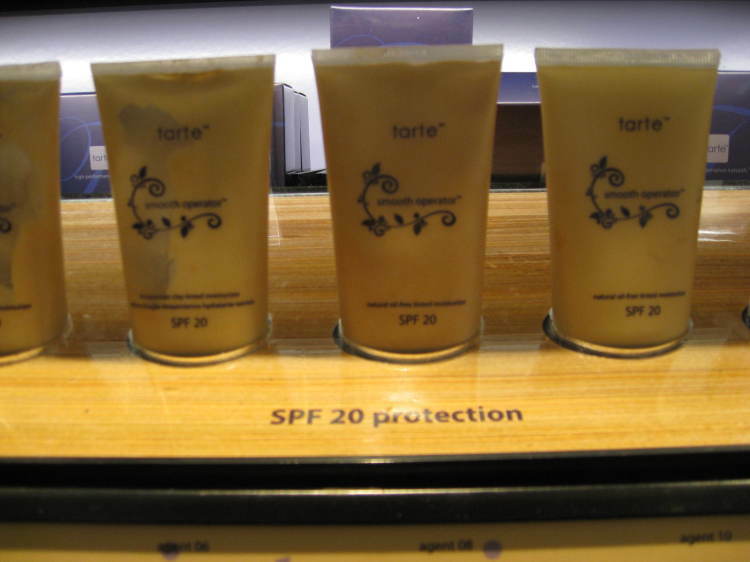 Although not all of Tarte’s cosmetics are “certified as vegan” by PETA, the products I bought were formulated without the following: mineral oil, parabens, phthalates, petrolatum, sodium lauryl sulfate, synthetic dyes and synthetic fragrances. This is good enough for me!! !